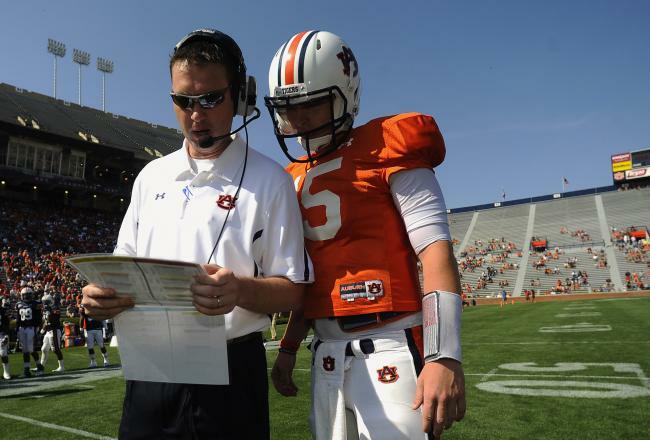 Editor’s note: I’ve been asked to speak about TWER a fair amount recently and whenever I get around to the part about how awesome it is, how varied its content, I inevitably mention the work of Amorak Huey, a creative writing professor who wrote for TWER a poem about every game of Auburn’s 2010 season. We called it Leaves of Turf because we’re awesome, if you’ll remember. Now the ‘Rak is Back, harnessing his muse on stuff equally important. Last week he wrote a poem about Brian VanGorder. This week? Scot Loeffler (with apologies to Paul Simon). “The problem is that wacky spread,” Coach Chizik said. “Football is easy if you take it at less breakneck speed. and take a hike, Mike. Now block all day, Jay. Be ready to play, Bray. this worked in Michigan, man. it’s time to see what we’ve got.